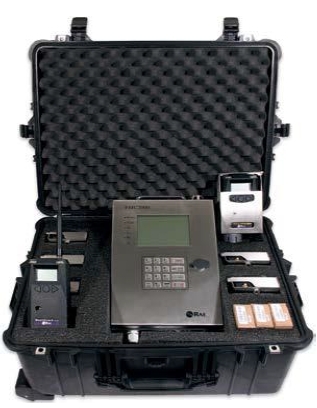 One of the key building blocks of the MeshGuard intelligent network of connected sensors, the Sieger MeshGuard is a battery-powered wireless gas detector. F04-B111-100	Mesh Router, 2.4 GHz Disposable batteries needs to be ordered separately. See also **note above. Minimum 1 disposable battery is recommended to be ordered seperately." F04-C111-100	EchoView, 2.4 GHz Disposable batteries needs to be ordered separately. See also **note above. Minimum 1 disposable battery is recommended to be ordered seperately."